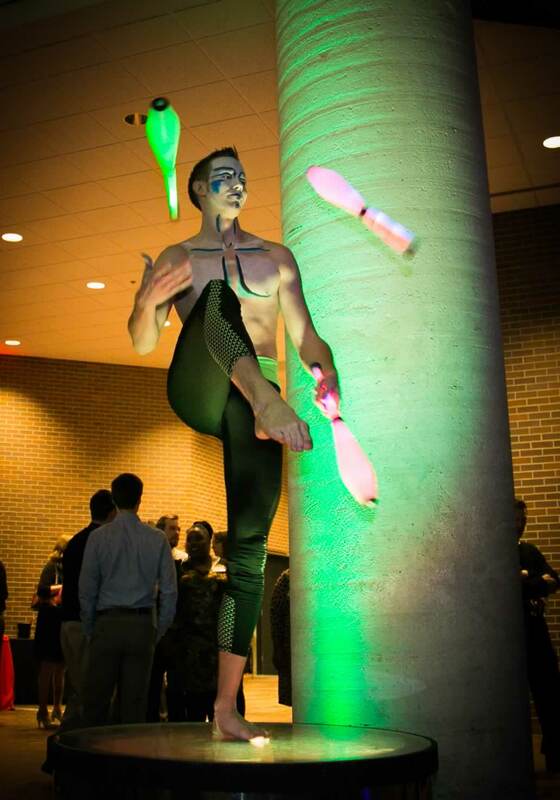 Have a party like your guests have never seen! 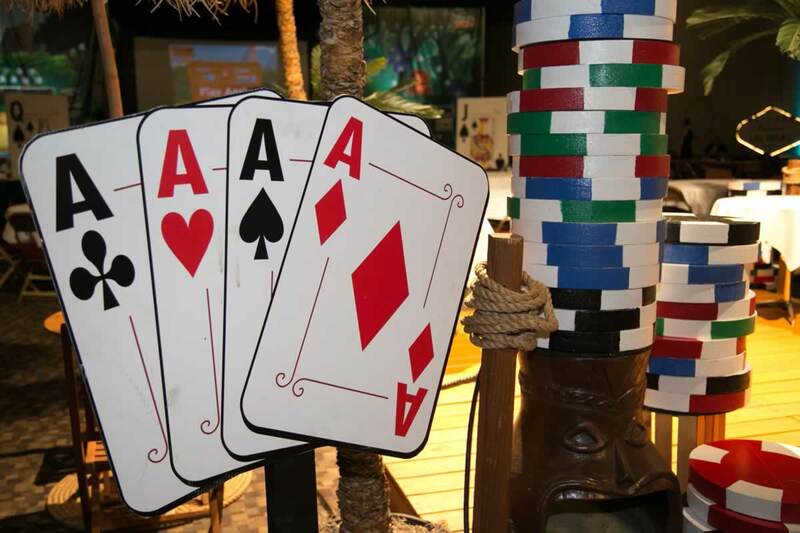 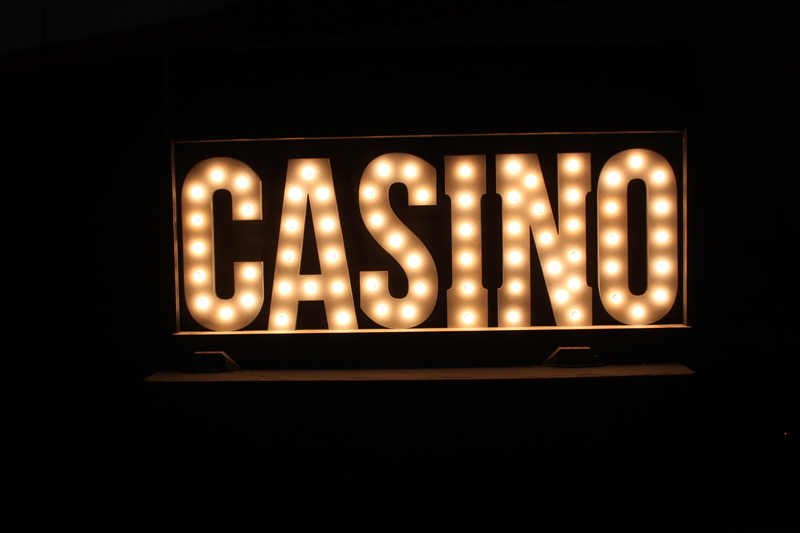 Renting casino party supplies for your next party or event will transform it into an exciting Vegas style experience people will talk about long after the party’s over! 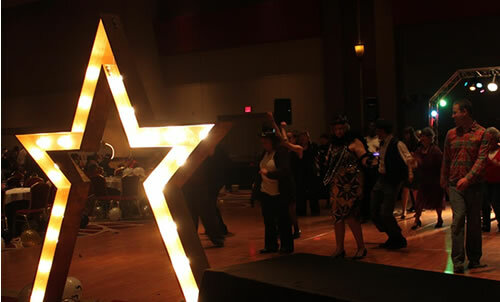 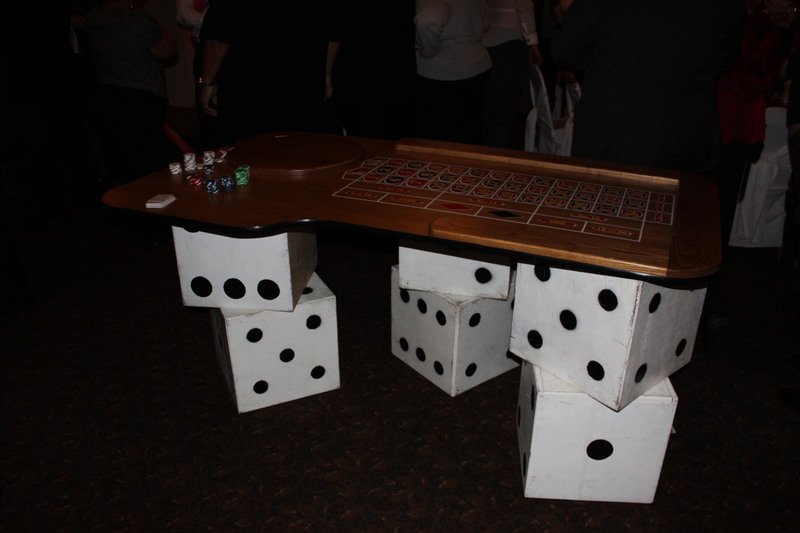 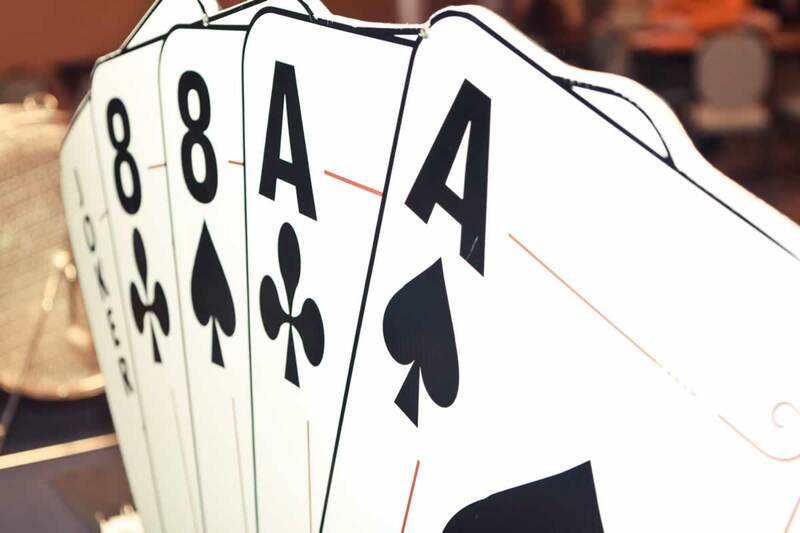 All of our casino party supplies are handmade by a professional carpenter and are completely unique to us – you won’t find our gear anywhere else. 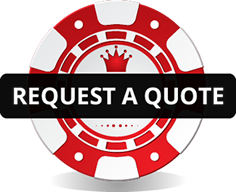 Have something specific in mind that we don’t offer? 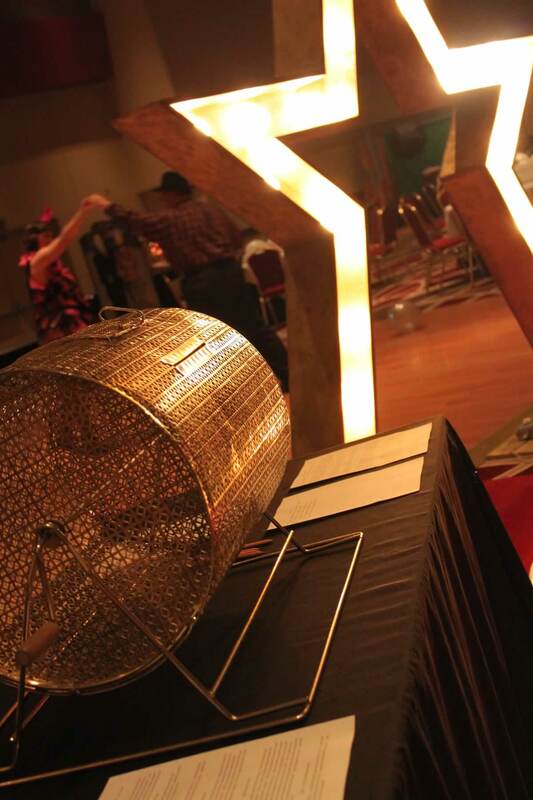 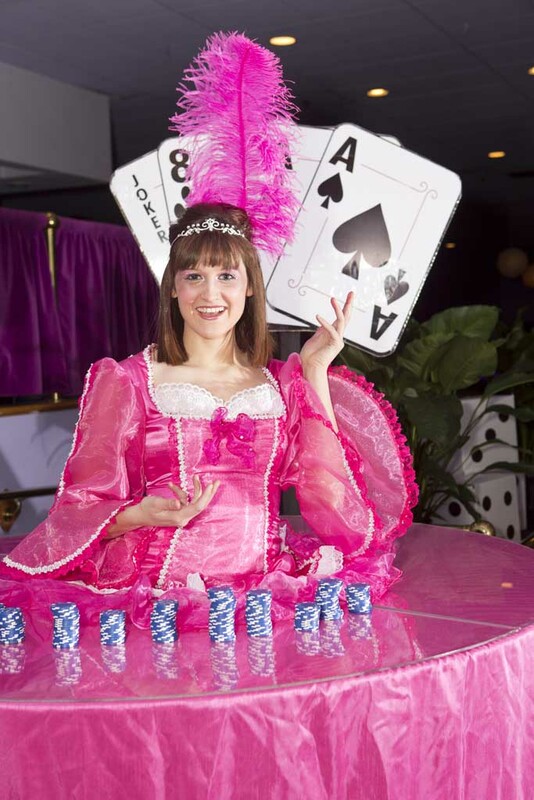 Cincinnati Casino Nights are experts when it comes planning a party. 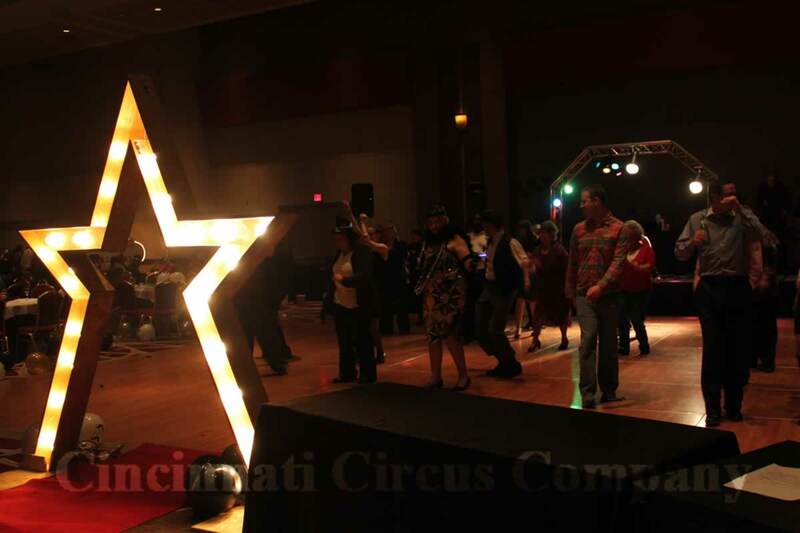 We’ve worked with bachelor parties, company parties, birthday parties, company picnics, high school after proms and more. Regardless of where we are located – we always bring the fun. 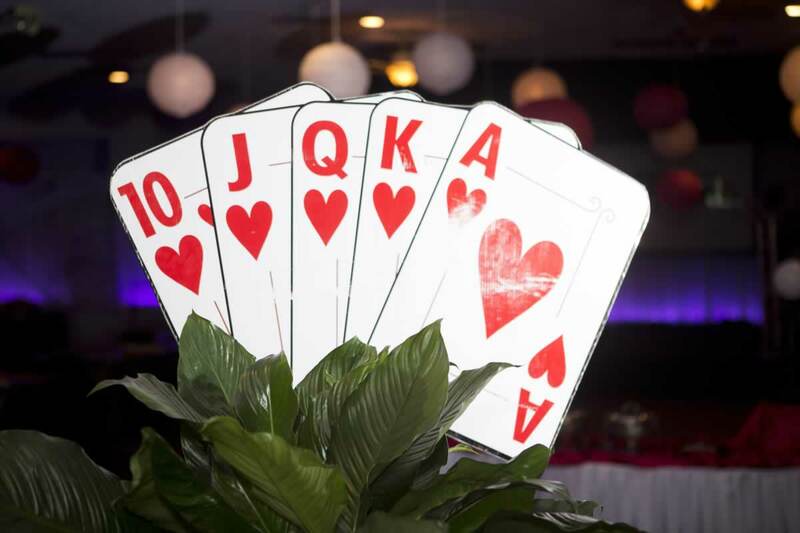 We will make it special for your event! 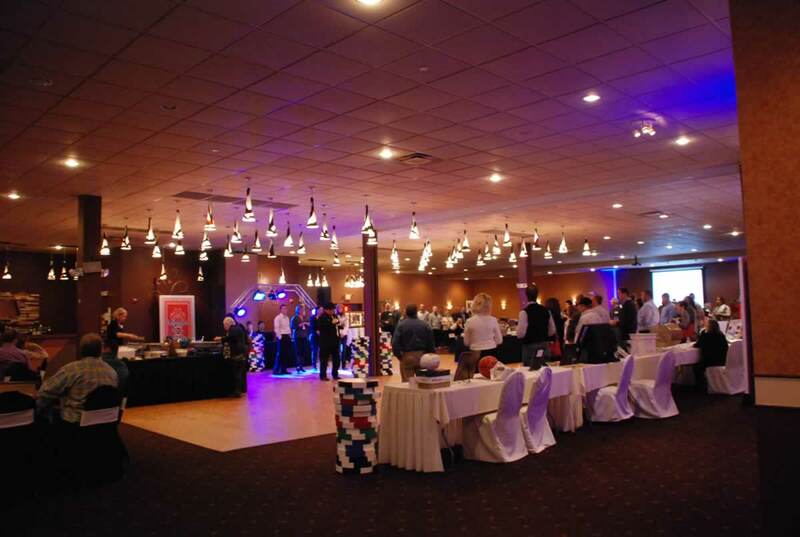 Call today for more information about how we can supercharge your next event. 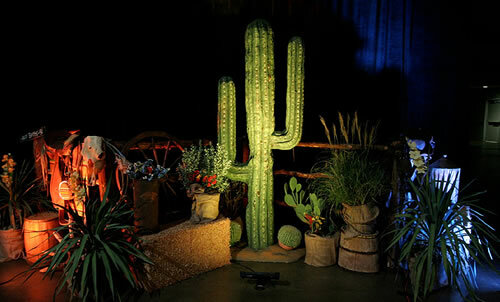 We have a wide range decor pieces and packages to satisfy any need. 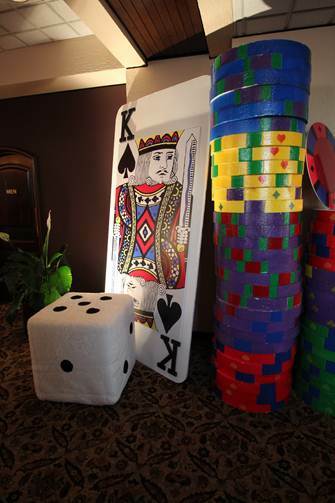 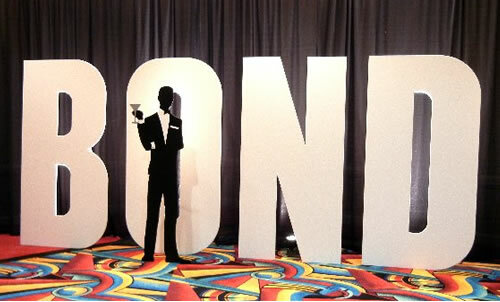 Please be sure to ask about casino décor rental packages. 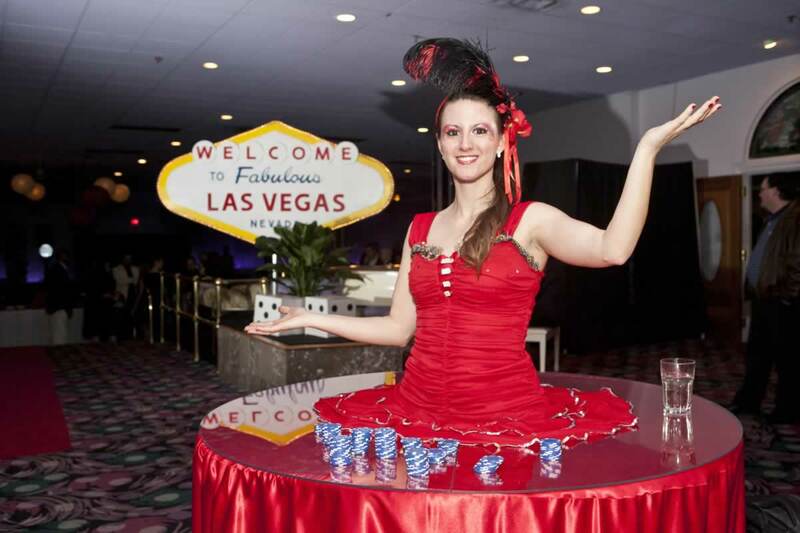 You don’t have to travel across the country to experience Las Vegas! 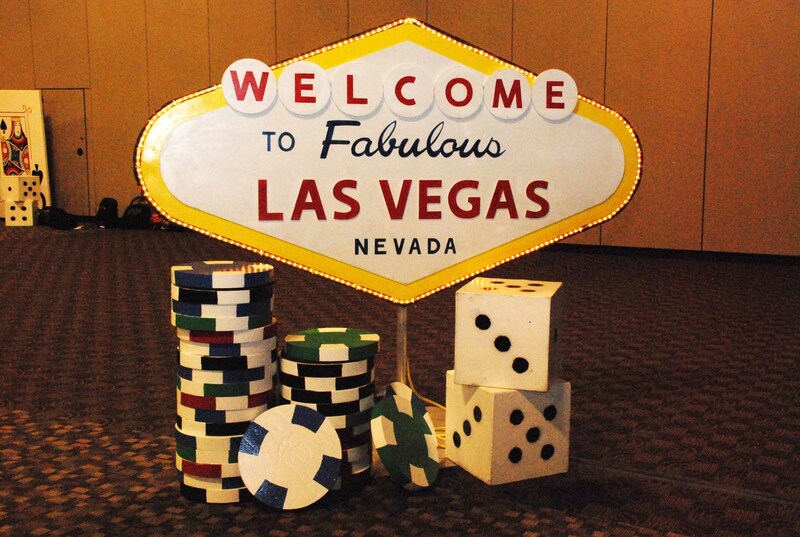 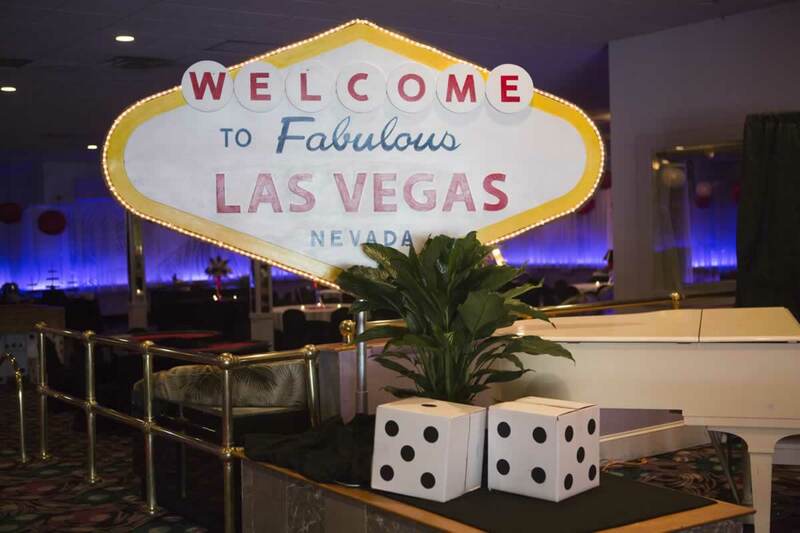 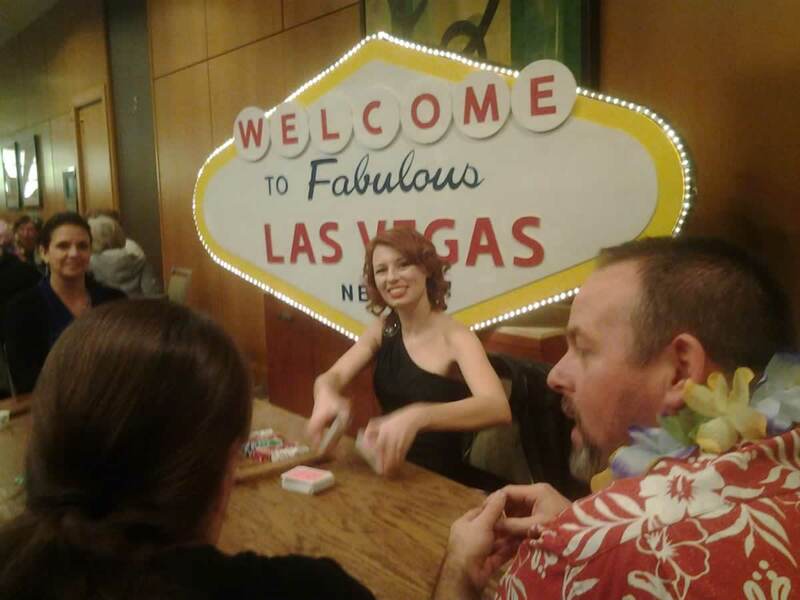 Decor includes: Welcome To Vegas light up sign, light up casino sign, Big Six Wheel, Red Carpet, giant playing cards, giant chips, giant dice, balloon arches, Vegas Mural and more. 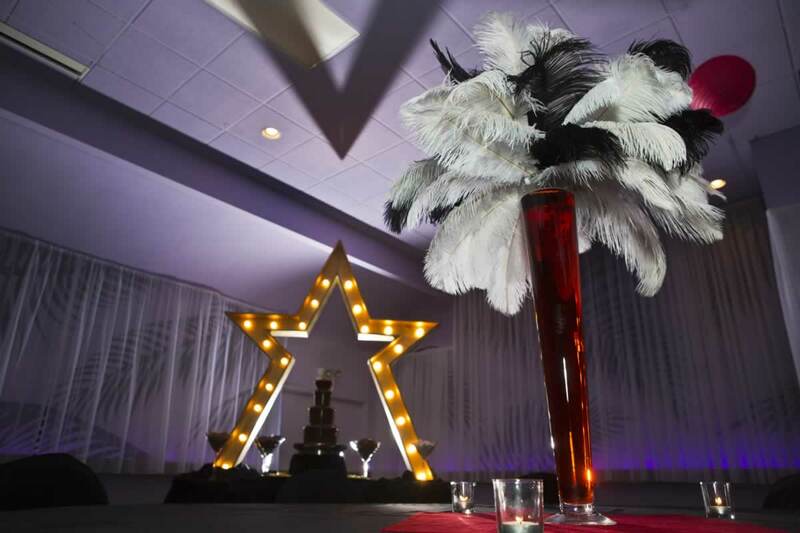 Set the perfect scene and make all your guests stars for the night! 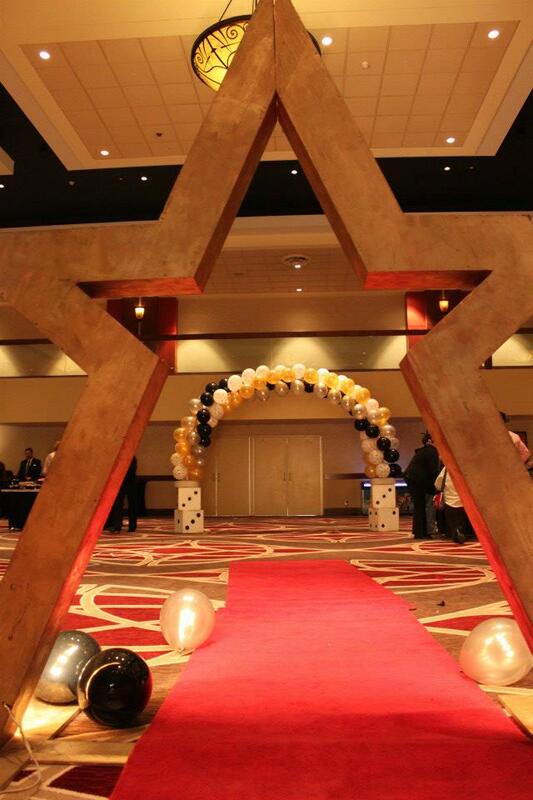 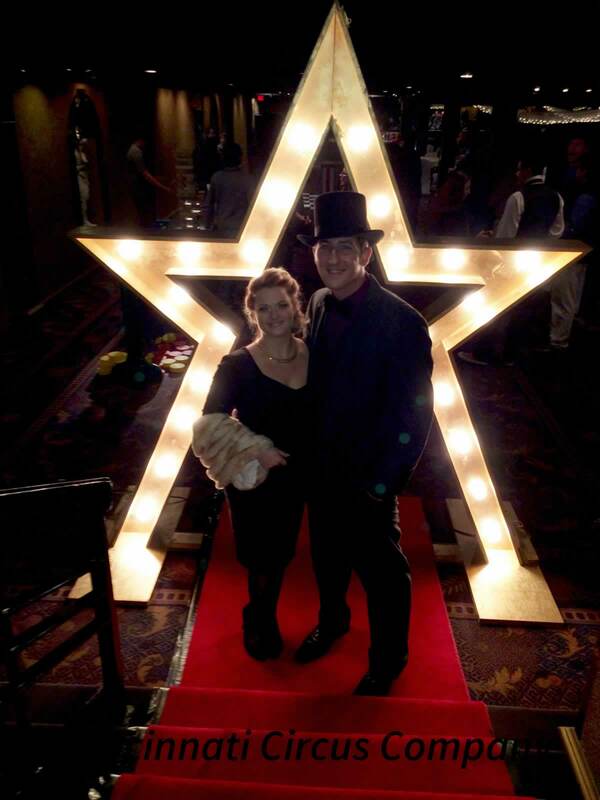 Decor includes: Star light-up arch, Hollywood sign, light-up marquee sign, red carpet, candelabras, stanchions, Hollywood mural, Awards man cut-out and more. 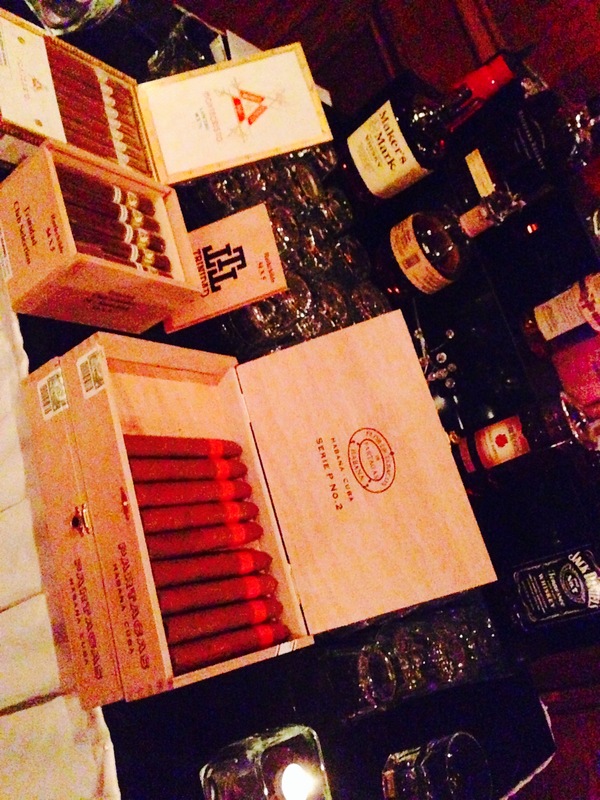 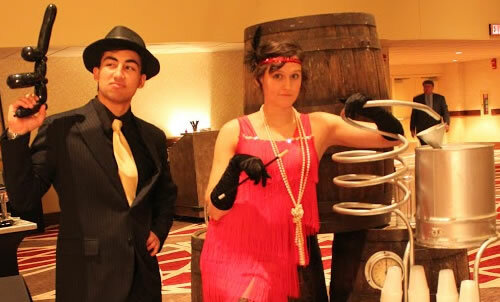 Our Gangster Themed casino parties are a blast from the Roaring 20’s past and will be a rip for all your guests! 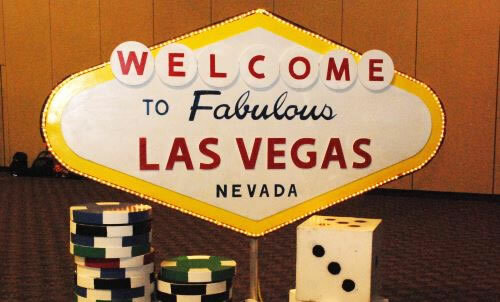 Decor Includes: moonshine still, barrels, gangster silhouettes, gangster cutouts, giant dice, balloon arch, gangster mural, break the safe. 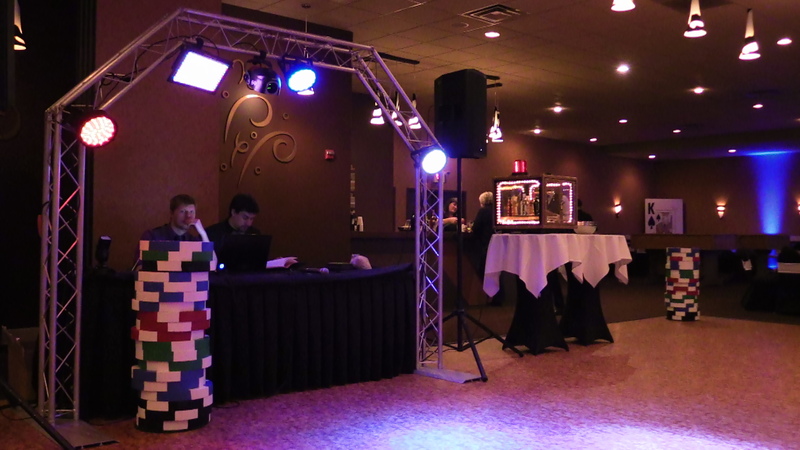 Decor Includes: Black lights, light-up casino tables, light-up podium with fire performers, futuristic champagne dress, futuristic human table, laser lights and more!